Since Tuesday, I've been eating more food than usual. Tuesday afternoon before class, I ate a Taco Bell burrito supreme. When I got home from class (10pm), I ate two slices of Papa John's pizza and a bowl of Moose Tracks. Wednesday, I didn't exercise. For lunch I ate lasagna & yogurt. Before class, I ate about 3/4-ths of a regular size Asian chicken wrap from Roly Poly. I also drank about 3 cups of Dr. Pepper. After class, I ate two slices of wheat bread with peanut butter and honey. This was more than I usually eat in a day. This morning at the gym, before I started playing basketball, I weighed myself (clothes and shoes on). I was about 210. I wanted to get a feel for how much I sweat off during a game of basketball. I knew that my clothes and shoes weight about 2 pounds, so that put be around 208 ... roughly speaking. I played basketball ... played one game, sat out one, then played two more games. I showered and then weighed in. I was confident that I was going to be about 207 or more ... I ate at night ... ate more than I usually do ... I ate "tasty" foods. Maybe it was the dry towl that made the difference today. This is crazy. So it was a good week this week. I lost 2.3 lbs. since last Thursday. I went to Academy Sports yesterday. I purchased some JumpSoles. Call it a childhood dream, but I really want to dunk the basketball. As a nice side benefit, I should get quicker too. I plan on going to the gym and working on this program on the off days (Mon, Wed). I haven't looked at the program yet, but if time allows, I'll also use Tuesdays and Thursdays too to work with the JumpSoles. My plantar faciiatis is still hanging around a bit. It is noticably less painful these days, but it is still there. The Mavs & Heat are finally playing tonight. 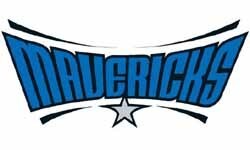 GO MAVS! !